This lovely new Her Universe x Star Wars Tatooine dress is now available at Box Lunch. 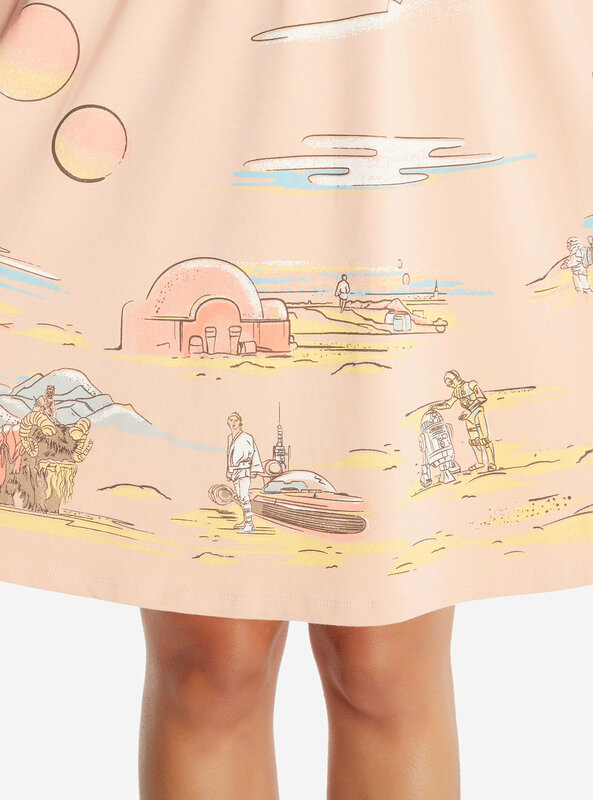 The peach colour dress features sketch style artwork of Tatooine scenes from A New Hope, including Luke Skywalker with his landspeeder, a tusken raider riding a bantha, and R2-D2 with C-3PO on the dunes. What’s more beautiful than a gorgeous sunset? A gorgeous duel sunset! 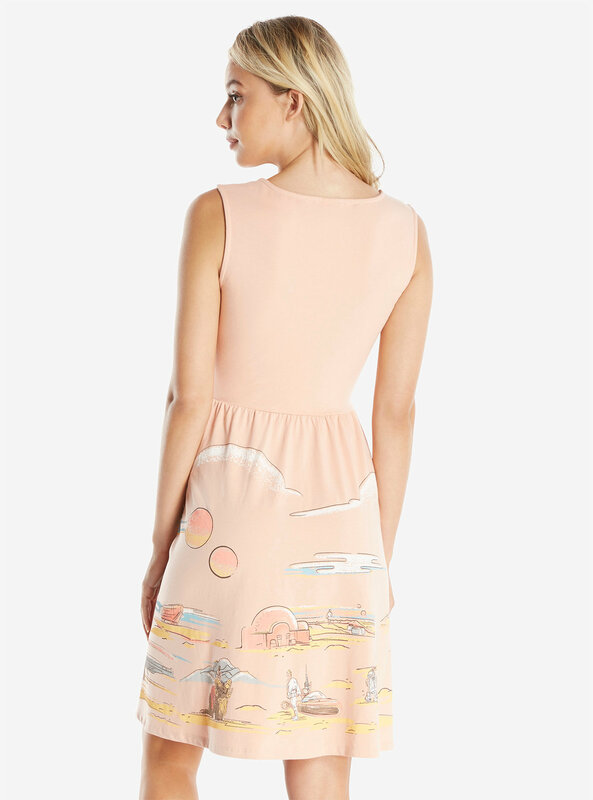 This peach colored dress has an allover Tatooine inspired print, that of course includes the lovely duel sunset. 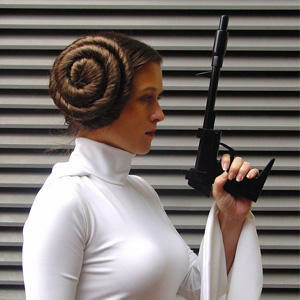 Luke, C-3PO, and the Millennium Falcon are also represented on the circle skirt. The bodice has a sweetheart neckline and princess seams. It’s perfect for your next stroll underneath the sunset. Available in sizes XS to 2X, the dress is priced at US$69.90 each – Box Lunch can ship internationally, which is great.